The story of Jet Packaging Group (formerly Jet Printing) begins in 1998 when three printing pioneers formed a small printing and conversion business in Dickson, TN, about 40 miles outside of Nashville. They found the perfect name for their venture – JET – not only expressing the company’s ability to speed products to market, but also formed from the initials of the three founders, Jim, Eric and Tim (Eric and Tim are still helping run the company today!) The company quickly developed a national reputation for printing rollstock, printed laminations and pre-formed bags. But their customers wanted more, and Jet wanted to deliver. They entered the packaging space with a specialization in package design and engineering and were soon known as a “go to” supplier for companies looking to package their products in flexible packaging, pouches and bags. Jet became an innovative consultant to envision, design and manufacture the perfect package for any product, especially in the food, pet food and household good industries. As the industry changed and environmentally conscious consumers began looking for brands that reflected their value, Jet became a pioneer in recyclable and compostable packaging solutions. Today many companies seek us out specifically to design custom sustainable packaging for them. As their engineering and design capabilities increased, Jet Printing evolved into Jet Packaging Group. Today, the company offers full service design, engineering and manufacturing for flexible packaging. When we say customer-focused, we mean it. Although we are part of the supply chain, we approach our work in the “4D” approach to packaging, with recognition that the product we produce touches many others. In other words, our process is not all about us…it’s about you…. 1. It all begins with your BRAND PROMISE, delivered expressively with attractive packaging that protects and enhances your product, even as it beckons the consumer from the shelf. 2. Your PACKAGE is inspired by your brand promise to defend, protect and enhance the product. Your package is reliably delivered through the skill and relentless passion of Jet Packaging Group. 3. We preserve your BOTTOM LINE with efficient packaging solutions that don’t break the bank. 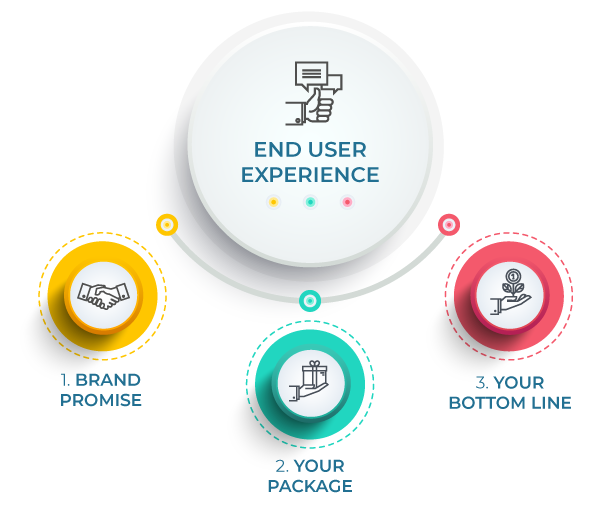 Your END USER’S EXPERIENCE is critical. It breeds brand loyalty and drives repeat sales. It’s as important to us as your product is to you. Thank you for learning more about Jet Packaging and if we can be helpful to you in the future, please do not hesitate to contact us.